Branding and Design Agency based in Portland, Oregon. 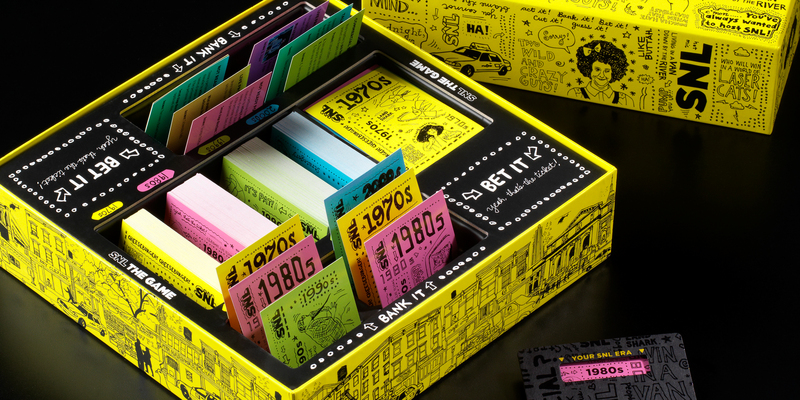 This is what they call a “good problem” – naming, designing and packaging a game which draws on 40 years of SNL history. 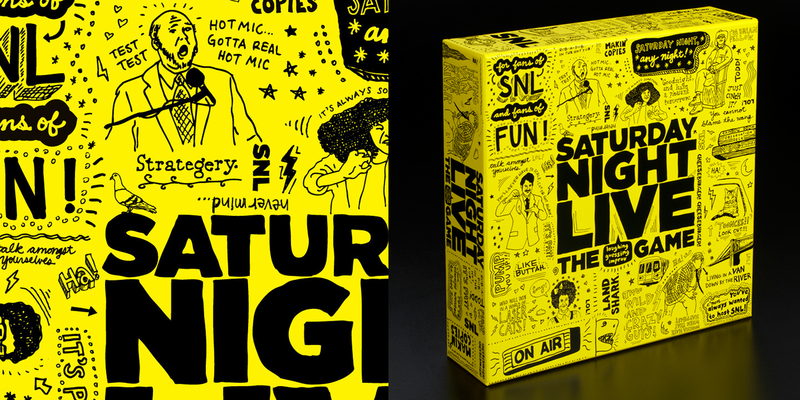 Our solution was to capture the raw immediacy of SNL’s writing process and live performances, which we achieved through hand-drawn illustrations of legendary characters and catchphrases. The package also communicates the fun of playing the game itself, which combines trivia, improv, and quick-fire team play. Discoverable images are hidden throughout the whimsical NYC street scenes depicted on the inside of the box. The pure yellow package, punctuated by gloss black illustrations, jumps off the shelf in a crowded retail setting.